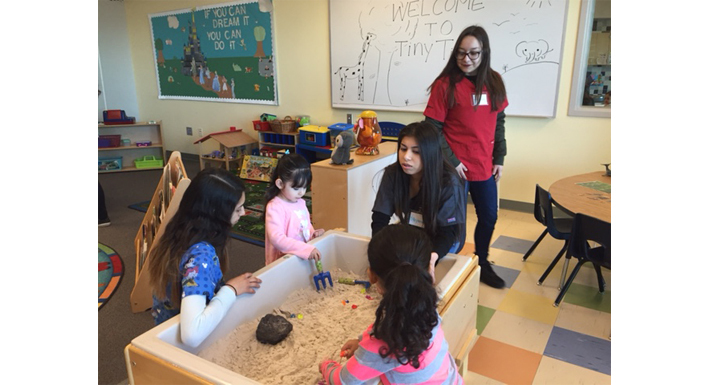 East Career & Technical Academy opened its Tiny Titans Preschool Jan. 26, providing future teachers with valuable, real-world experiences. ECTA students wrote and designed lesson plans for the preschool, using an integrated curriculum for center-based learning. Additionally, the students prep all the activities, implement the lessons in the classroom and manage the preschool’s daily operations. Under the direction of ECTA teacher Linda Bouch, the preschool — which is open to the public — is open Tuesdays through Thursdays from 9-11 a.m. For more information, call Dr. Lisa Edler at (702) 799-8888, ext. 4018.